Six months ago my mom, future mother-in-law and best girlfriends were sipping on mimosas while getting our hair and make up done. 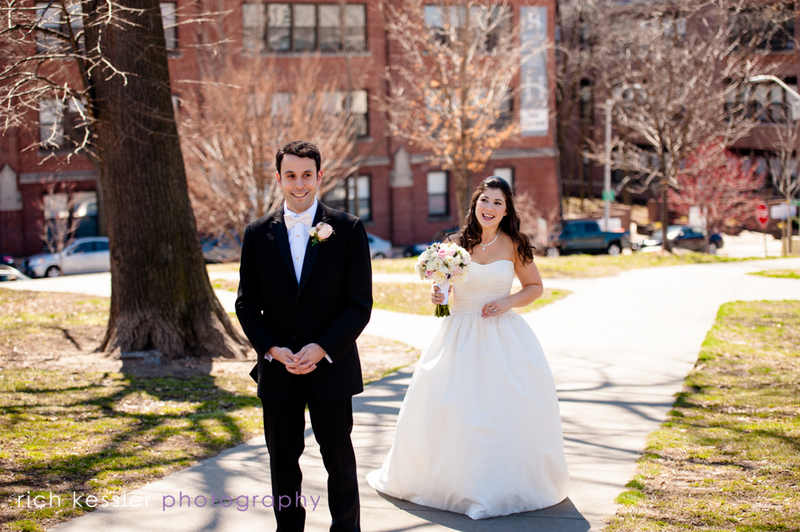 Soon after, I would head to Federal Hill for a first look at my dashing groom. Giggly and excited, Adam and I would fail at taking serious pictures and the bright sun required us to sport shades in our Inner Harbor portraits. Don’t let the sunglasses fool you, it was freezing on March 29, but at least the sky was clear! Our wedding day was seriously the best day ever – full of love and celebrations with our closest friends and family. Since it has been exactly six months since the big day, I figured it would be a great time to share some photos and shout outs to our wedding vendors. And because I loved planning our wedding, expect a few more posts in the future about planning a Baltimore wedding, rehearsal dinner and maybe Jeanette will chime in about planning a Baltimore bachelorette and engagement party. Getting ready with the girls at the Royal Sonesta Harbor Court. 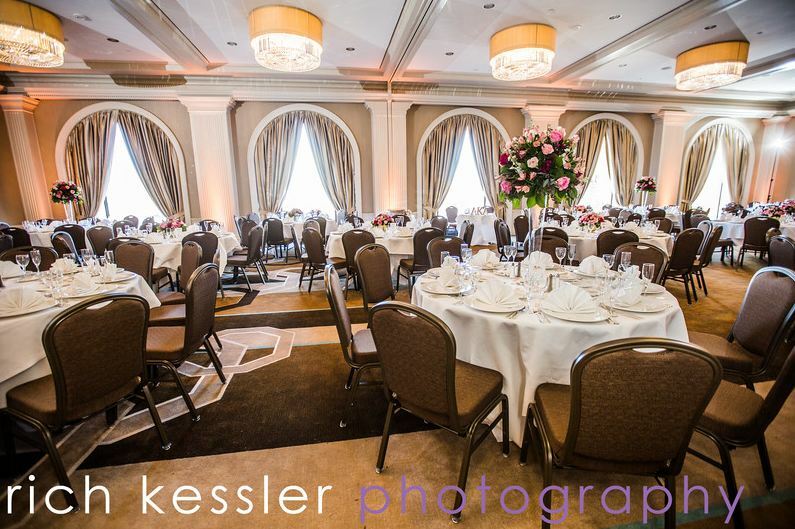 The Sonesta had just undergone a major renovation (like JUST, things wrapped up only a day or two before wedding weekend began) and the rooms were beautiful! [Side note: you may recognize some rooms in the Sonesta from the latest season of VEEP or if you’re like me and just watching The Wire for the first time pretty sure we got ready in the room the Greek is in overlooking the Harbor in the season 2 finale]. Hair done by Mindy Whelan and make up by Nicole Palermo. Both super nice and talented – I booked them after they did my friend Lindsay’s wedding last October. For flowers we worked with Anna at Flowers and Fancies. Anna was easy to work with and helped me stay in budget. 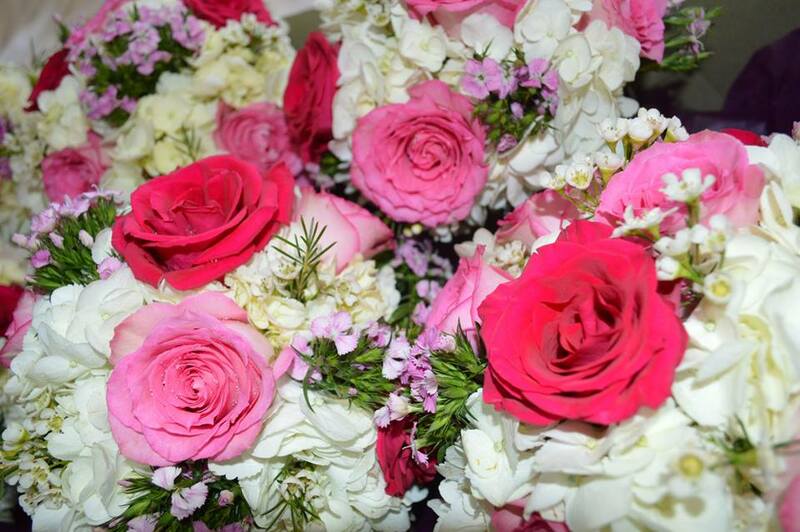 I don’t know much about flowers so we used my pinterest board as inspiration and used several shades of pink roses. Our bouquets arrived to the bridal suite while we were getting ready and it was a surprisingly exciting moment! The flowers were fresh and gorgeous and really made me feel like it was “go time”. 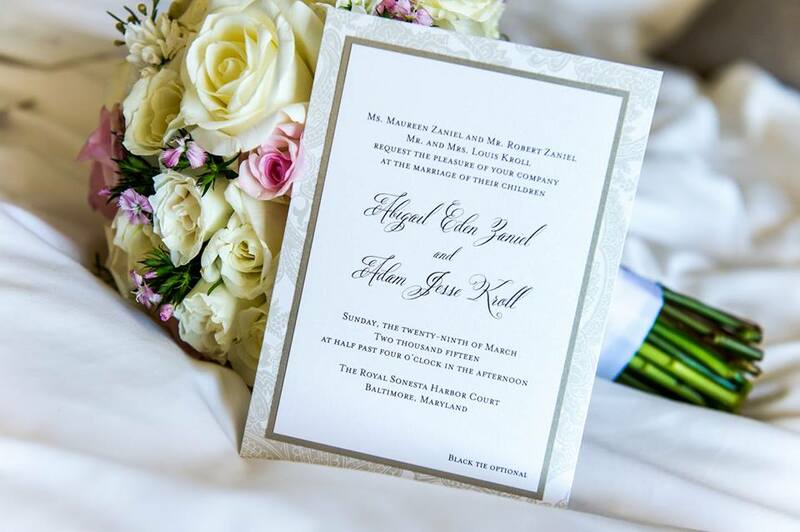 Obviously we had to get a pic of our beautiful invitation by Jenifer Sirkis Designs. Jen was great to work with did our programs, rehearsal dinner invites, table numbers and some additional signs for the wedding. First look on Fed Hill! 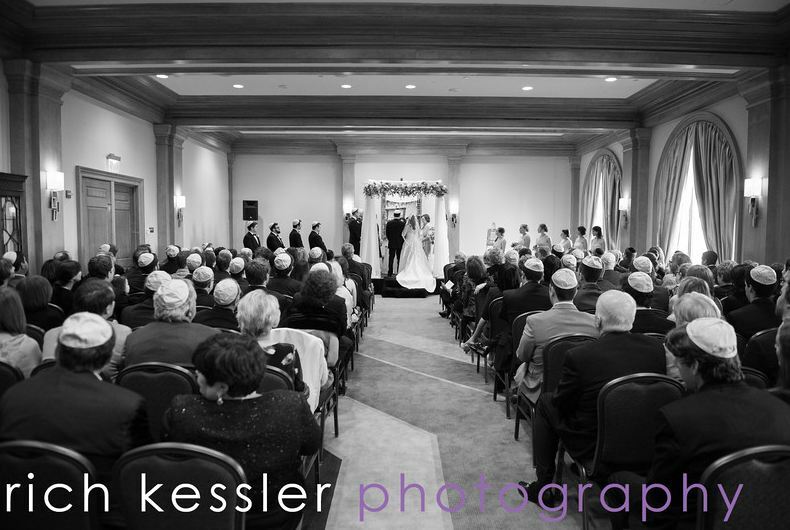 Thanks to Rich Kessler Photography for capturing all of these amazing moments! I loved our first look and the chance to see Adam before the wedding. Definitely one of my favorite parts of the day. Adam’s tux was from Tuxedo House and my dress was from Francesca’s Bridal. It had pockets and made me feel like a princess. 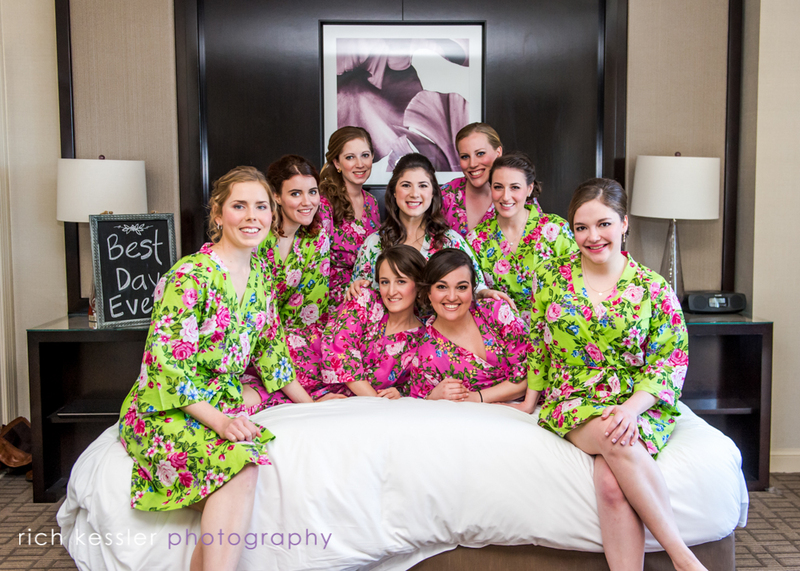 Our amazing bridal party all dolled up. 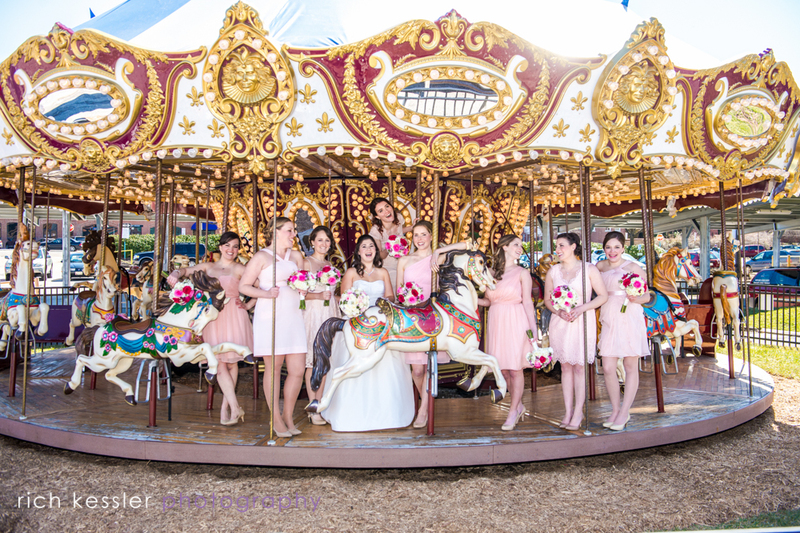 My bridesmaids chose their own blush pink dresses in the style they liked best – many ended up being from JCrew or Nordstrom. Before long it was time to sit down with our Rabbi and sign our Ketubah (the Jewish marriage contract). 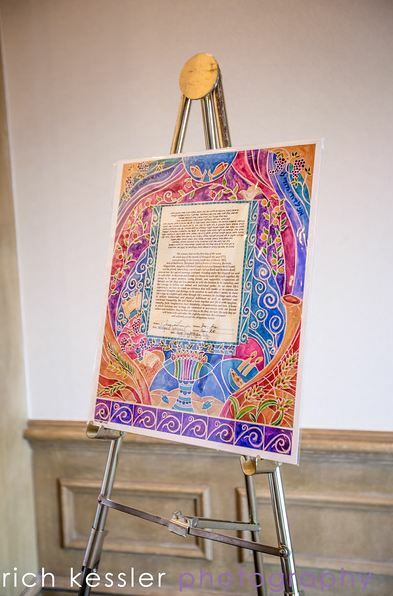 I ordered my Ketubah on Etsy but the designer is local and I was able to pick it up in Baltimore County. Ceremony time in the beautifully redone Sonesta. Chuppah was from Flowers and Fancies. Music for our ceremony was classical guitar played by Ben Sherman and included some of our favorite songs like The Cure’s Just Like Heaven. The Sonesta was great because it had separate spaces for the ceremony, cocktail hour and dinner that could accommodate our 200+ guest list. 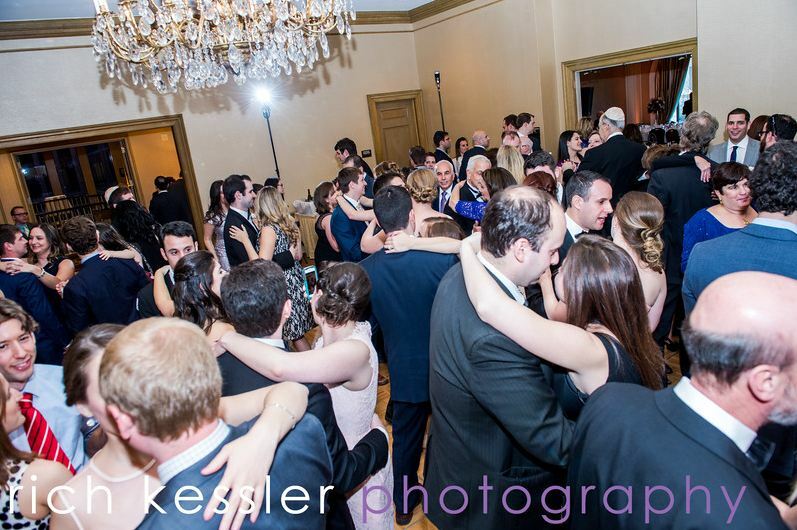 Our band, DC Fusion kept people on the dance floor all night long! The band can make or break the wedding and they did a great job of keeping energy up and playing songs that everyone enjoyed. Mmm cake time. 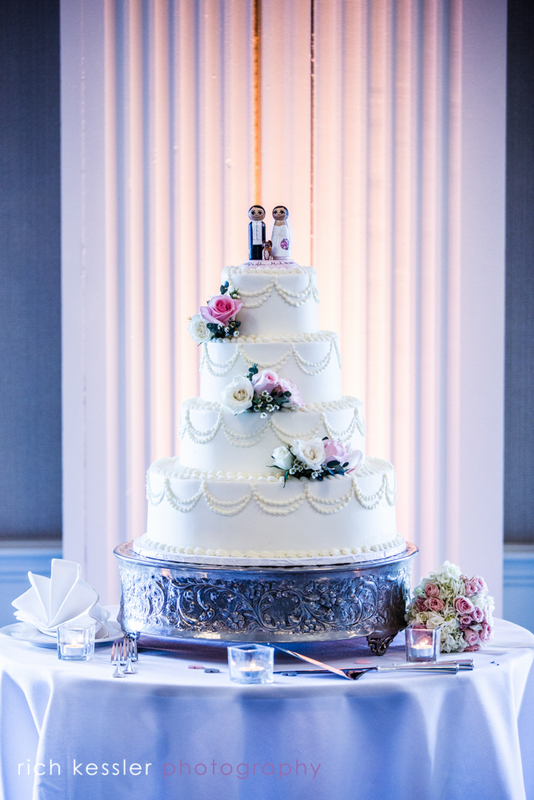 Our cake came from Baltimore Cakery and it was absolutely perfect – gorgeous and delicious. Everyone raved about the Little Italy flavor – cinnamon cake with cannoli cream frosting. The wedding cake topper was another etsy find and was incredibly detailed to look just like us (with our dog, Jack!). It was another one of my fave details from the day! All in all, everything was absolutely magical and I’ve loved reliving it writing this post. If you are interested in learning more about my and Adam’s story, check out this piece that appeared in the Washington Post the week after our wedding. 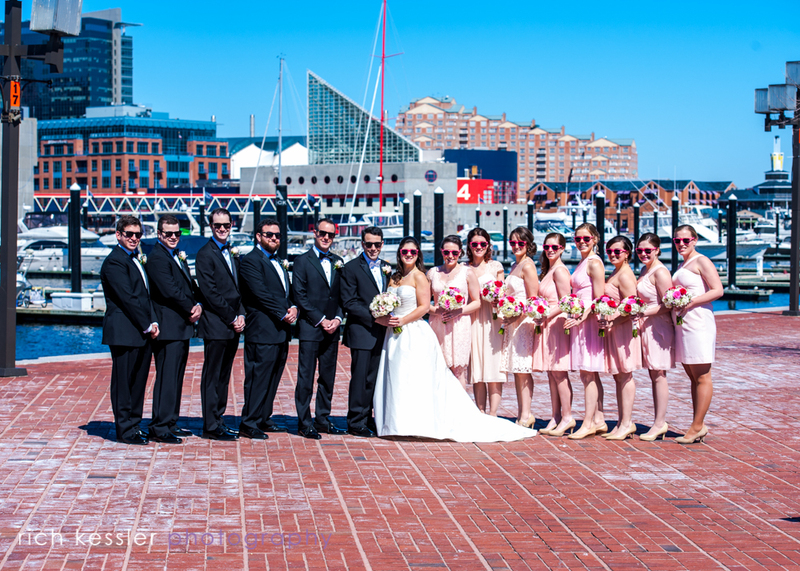 Are you planning a wedding in Baltimore? What was your favorite part of your own wedding? Oh everything was so beautiful! I love these pictures!